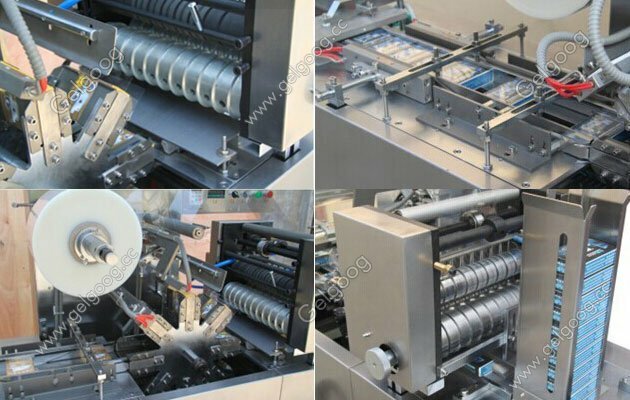 Transparent Film Wrapping Packing Machine is suitable for packing small boxes of products such as medicines, drugs, cigarette, tea boxes, pokers, perfume, condoms and so on. Transparent Film Wrapping Packing Machine For Box Transparent Film Wrapping Packing Machine is suitable for packing small boxes of products such as medicines, drugs, cigarette, tea boxes, pokers, perfume, condoms and so on.Automatic three dimensional packing machine made of materials including BOPP film and PVC, the machine can apply to wrapping the products as a folding hexahedral single-box package. It is an ideal for the cassette packing cases. 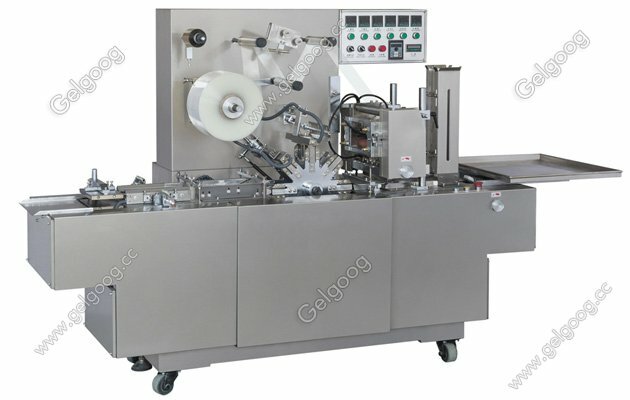 This machine is widely used in cosmetics, food, health products, medicine, condom packaging, agricultural and sideline products, audio and video products, culture articles, high-grade gift packages and other industries in various sizes of single-box type items three dimensional transparent film wrapping. It can feed automatically by conveyor belt, wrapping, folding, side-sealing, the upper and lower shaping, counting, and owning self-adhesive security features such as easy to pull. It is one of the best anti-faking methods to mark companies; logos and names in various colors on security tear tape with anti- counterfeiting laser and phosphorescence, very suitable for high-end label products packages. This type of transparent film cellophane wrapping machine is equipped with U-type cutter, with an easy opening in the wrapping products, which is convenient for detaching. It is the best full-sealing equipment to take place of traditional heat shrinking machine, with the advantages of dust-proof, moisture-proof, anti-counterfeiting, anti-pollution. This kind machine can support single- box type packaging and also the whole line packaging after connected to boxing machine, coding machine and the other associated equipment. The 3D cellophane wrapping packaging machine we invented is in the absorption, digestion on the basis of Germany advanced equipment, carefully designed and adapted, with the operation principle of mechanical transmission, pneumatic supplemented by the design. Equipped with the gear chain and step less frequency system, the machine can work in the normal and stable operation with low failure rate, fast speed and simple operation. With the balance of the sprocket and chain drive, the products can be pushed inside flatly by machine, effectively avoiding the phenomena of boxes being stuck and cast off. The packing machine we produced is characterized by its compact-sized, small occupying space, light weight and without limit in packing area. 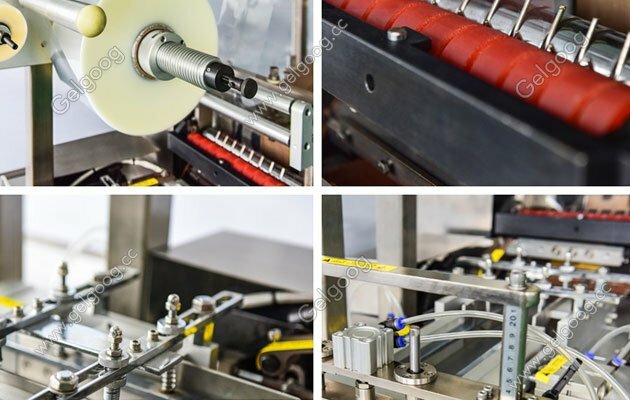 One packaging machine can be packaged for different specifications (size, height, width) of the cassette packaging items due to its wide range of application.